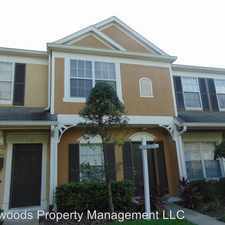 This apartment is in the Meadow Point neighborhood in Wesley Chapel. Nearby parks include Live Oak Park North, Live Oak Park South and Cross Creek Park. 1406 Costa Mesa Dr. has a Walk Score of 25 out of 100. This location is a Car-Dependent neighborhood so most errands require a car. 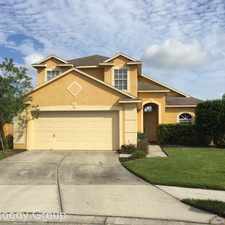 2/1.5 Lake View in Gated Community - Available Jan 1. No Pets. Meadow Point's Covina Key -- Gated Community and Pool! 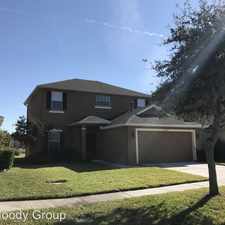 Very nice 2-story, 2 bedroom,1.5 bath, washer & dryer included, private screened porch with storage closet, lake view, community pool, playground, tennis. Numbered parking space by front door. Water bill included! Master bedroom is about 11.5 x 13. 2nd bedroom is about 11.5 x 12. Use of Meadow Point II pool facility also allowed. Sandpine, Long, Wiregrass school districts. Each adult will need to sign lease and undergo individual application checks for background criminal, eviction, credit, landlord and income verification. No Co-signers. Application fee $85 per adult. Explore how far you can travel by car, bus, bike and foot from 1406 Costa Mesa Dr..
1406 Costa Mesa Dr. is in the Meadow Point neighborhood. Meadow Point is the 3rd most walkable neighborhood in Wesley Chapel with a neighborhood Walk Score of 12.